As the holidays thrust into full swing many people are looking for their soundtracks for the season. For some it may be Christmas anthems, for others it is anything but those cheesy cheery tunes. And for the latter, this album is just for you. Featuring great artists such as David Bowie, Of Monsters and Men, Jack Johnson and Junip, this album is both inspirational and upbeat. Some songs such as “Dirty Paws” by Of Monsters and Men you may already know, but others are originals recorded just for the album. One of those songs which really caught my attention was “Step Out” by Jose Gonzalez. This track is filled with an urgency to live your life. Perfectly describing the need to let loose and live your life that the movie represents. Gracefully stepping from fast-paced to slow in seconds, immediately changing the mood from urgent to desperate, Jose Gonzales takes this tune over the top. The soundtrack will be available December 17th, and is already available for pre-order on both amazon and itunes. 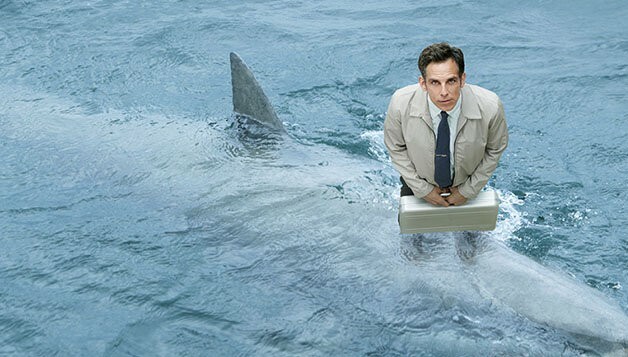 Walter Mitty will hit theaters on December 25th, 2013.